Sports betting websites sometimes go with the least bad team rather than the best. To wit, the best online sportsbooks favor the Dallas Cowboys by a field goal over the New York Giants. Three points is a very small margin. And the Cowboys have no margin for error. “The signature moments of the opener seem to be a couple of misses by Dak Prescott,” writes Kevin Sherrington of Sports Day. “First to a wide-open, if distant, Blake Jarwin, and the other to rookie Michael Gallup, so near that Dak could have whispered in his earhole first. Connect on those two passes and the Cowboys could have racked up another hundred yards of passing offense. 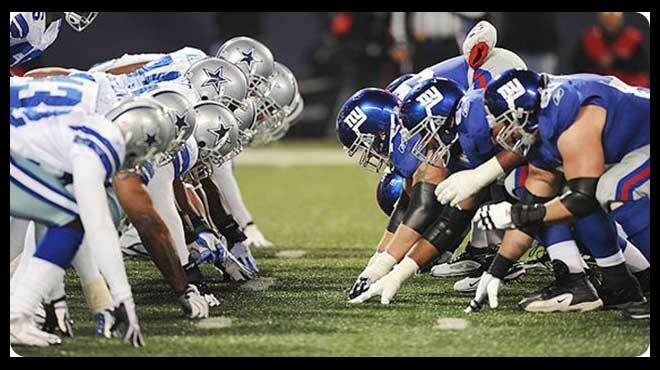 Maybe 10 more points, too.” The truth is though that neither Cowboys nor Giants can afford to fall into the dreaded 0-2 hole. One practically has to be a Saint to climb out of that hole. Starting QB Dak Prescott threw for 600 yards and 4 touchdowns in two games against the Giants in 2017. That would be a damn sight better than the 170 yards he threw against the Carolina Panthers. Running back Ezekiel Elliott had 69 yards and one TD on 15 carries. Wide receiver Cole Beasley had 73 yards on seven catches. The defense forced a couple of fumbles and had three sacks. The Cowboys are 8-17 against the sports betting websites spread in their last 25 games as home chalk. Rookie running back Saquon Barkley had 128 yards and one TD in his professional debut. Wide receiver Odell Beckham recorded 111 yards on 11 receptions. The Giants are poised for a successful season. That’s long overdue following a couple of years marred by injuries and just plain bad head coaching. I’m looking at you, Ben McAdoo. Prescott and Elliott are just three years into their NFL careers. And yet it sometimes seems as if their best years – make that year – are already behind them. On the other hand, Barkley is pretty much at the spot Zeke was in his rookie year. And the Giants’ secondary is arguably a bit better than the Cowboys. However, users of sports betting websites might prefer to bet on the total on this one. Both teams combined for about half as many points as the total for this game. So let us go under.